A Lake George wedding can be large and lavish. Or it can be simple and understated. This gathering of family and friends happened on Elizabeth island in a simple setting for a rustic Adirondack wedding. The point on the island provided the perfect spot for the ceremony and tables and chairs arranged under the trees provided the perfect relaxed setting for the bride and groom. With family members cooking, friends helping out and an evening on the lake, the setting couldn’t have been more Adirondack. As a Lake George wedding photojournalist, I enjoy working in situations like this for a non traditional wedding day. The situations are simple, the meaning large. Looking for a different Lake George wedding photographer? If you’ve grown weary of all the same-looking wedding photography out there, take a look at the different perspective that I bring. My work is about finding the moments of the day and not simply crating images that revolve around posing. You want photos of emotion, of relationship. Ones that bring a sense of place. I can help! It doesn’t have to be all one size fits all. Enjoy the experience of me creating a custom photography schedule tailored to your wedding day. 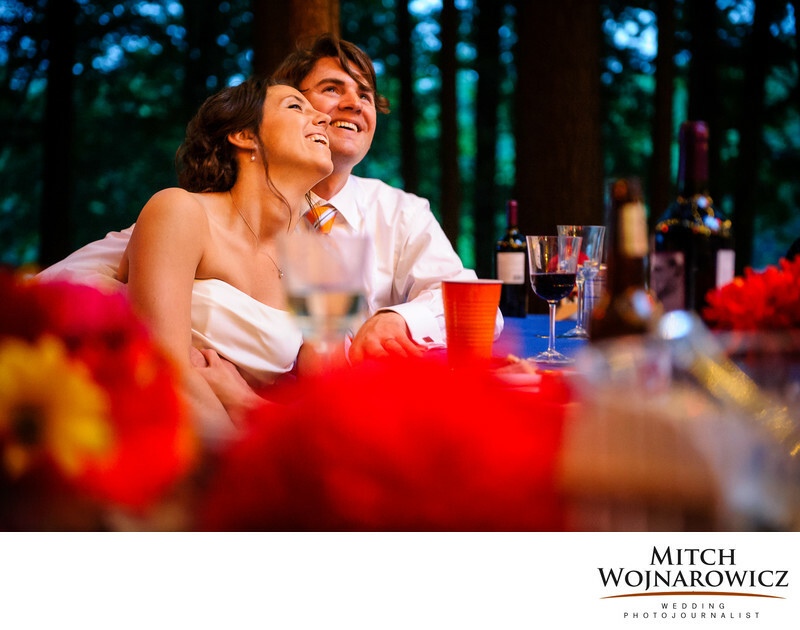 Finding a Lake George NY wedding photographer. Would you like to see more of my work? Perhaps you have a specific venue in mind already. It’s likely that I’ve worked there before! So I’d be happy to talk about my experience at your Lake George wedding venue. Click Through Using This Link and we can speak a bit about your wedding and what you are looking for in a photographer. And do it today as weddings on the lake are very popular and my schedule sometimes is fully booked a year in advance. So get in touch today. And it will be nice to hear from you!